Future oriented planning often leads to long term implementation of goals and targets. There are very few researchers who make future targeted goals and remain prepared for any type of challenge that might come in the way. It is very important to keep an eye on the future prospects of the investments before going for any long term plans with it. In the fast paced lifestyle where internet is becoming a part of our daily lives, it is of utmost importance that you make planned approaches towards every step. In the internet market, every bit changes from second to second and therefore one cannot afford to lose valuable things on the cost of superficial planning. Below you can find reference to these questions and ways by which the future can also be held firm. 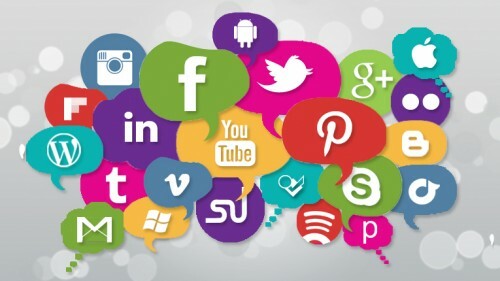 Why Future Trend is Important in Social Media Marketing? Timely implementation and farsightedness leads to success. It is now the changing trend from hard work to smart work. An entrepreneur who works smart by keeping an eye on the future prospects as well can achieve the goals in a much better way. In business investments, research, planning and brain storming are required for a better future. These things will let you predict the type of success you can expect from your investments. Now you must be wondering what might be the various aspects that are required for gaining the right attitude in Social Media Marketing keeping future trends in mind. Read on to learn more about such ideas. The right strength can only be developed from inner self. It is the mind only which makes us powerful and our positive attitude which makes us fight with the negativities in life. In social media marketing, the strength is only gathered by the type of profile you maintain socially. Your social appearance and marketing strategies can only be used to gain more followers in the filed of marketing. Maximum interactions with the right audience get maximum views which ultimately lead to more number of people who start believing on you. What are the kind of actions that would gain a good response? Try to learn these facts as early as possible after entering into the world of social media marketing. A good mechanism will always generate more interactions. The level of success of social media marketing campaign can be effectively estimated out from the interactions and power of profile, generated for interaction. Moreover selecting the right topic before you start your interactions that will generate the maximum audience is a perfect way to start with the actionable movements in the social media marketing campaign. Every action has an equal and opposite reaction. The Newton’s third law of gravity is applied to social media marketing as well. You need to analyze and sort what type of topics you need to share in your social profile. What kind of sharing will lead to more approval from the public and generate interest among the audience is the first thing to be kept in mind. Often people do not pay attention to clumsily shared ideas and those which do not impart a clear picture. Therefore the cause and effect analysis should be done beforehand. Certain trends, hot topics, hash tags can generate interests among the audiences. Depending upon the situation, relevant ideas and publishing contents can be put up in the marketing area where people can interact with you. The future trends in social media marketing is underrated, yet an important factor. To start with, just keep the basic ideas set in your mind; which will ultimately lead to the best future options.